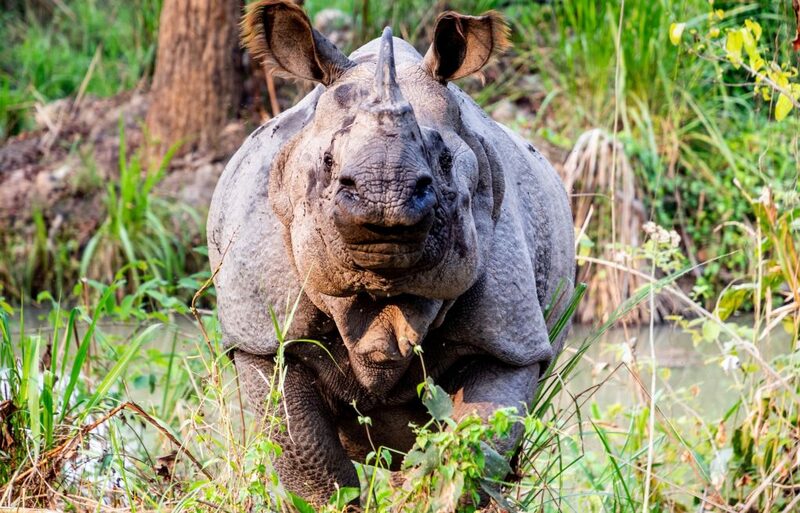 You don’t have to travel deep into Chitwan National Park in the Terai Lowlands of Nepal to come face-to-face with the once elusive one-horned rhino. Thanks to major conservation efforts, the population has grown from a mere 40 to over 600 living in the park today, making it an easier feat to spot one of these incredible creatures. In fact, you’re almost guaranteed to see one on safari – a major contributor to that possibility? Tourism. Tourism, when implemented thoughtfully, has the potential to eradicate the numerous world issues that we face today. According to Statista, the industry generates about 8.27tr USD and makes up about 10.4% of the world’s GDP annually – that power in capital can spark movements for positive change. The idea works on a grassroots level as well and in this case, to aid wildlife conservation. It starts with involving the local stakeholders and providing information and evidence for them to realize that protecting wildlife will bring in travelers who then sustain the area’s economic growth – and that is worth a lot more than poaching or habitat destruction for resources that will only generate temporary profits. In any case, the key aspect is to involve local communities because the benefits can only be reaped if everyone is on board. 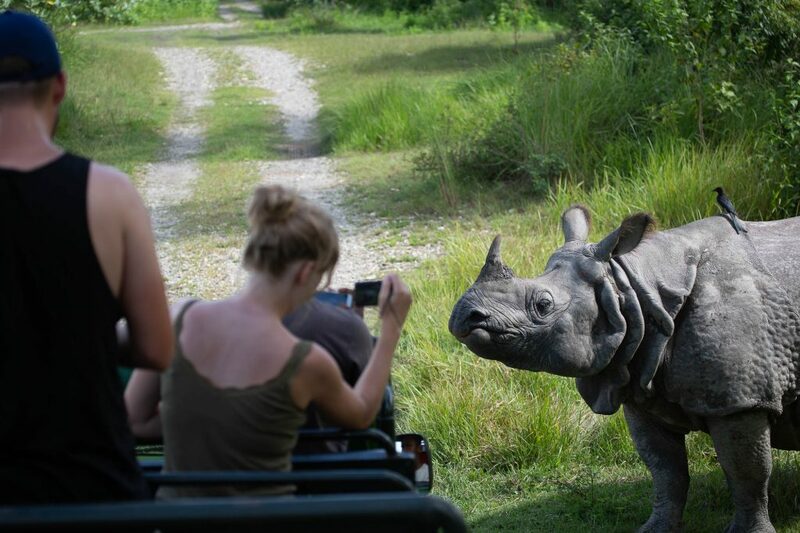 The rhino conservation efforts in Nepal have historically been underway since the 1950s but only took off after the late 1970s when the government, along with international and national organizations, made a conscious effort to include the locals via community-based conservation projects rather than a strictly top-down approach through regulations. The local people are the ones who are at the frontline of conservation so they are the most important players, this key fact is often forgotten but not in the case of today’s projects in Nepal. Around 50% of national park income in the country is steered towards community development activities, most often in the form of tourism facing projects. 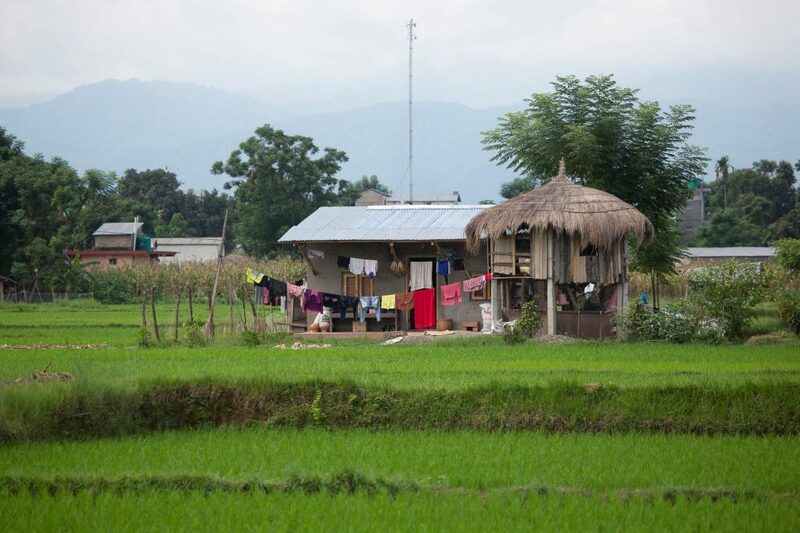 For example, there are overnight watchtower accommodations built in Chitwan National Park for tourists to stay in that are managed by locals in Chitwan – this provides jobs that lead to economic growth and community preservation in participating areas. 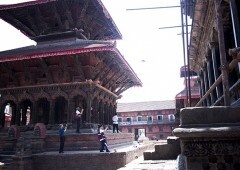 Today, Nepal is the epitome of a success story in conservation. 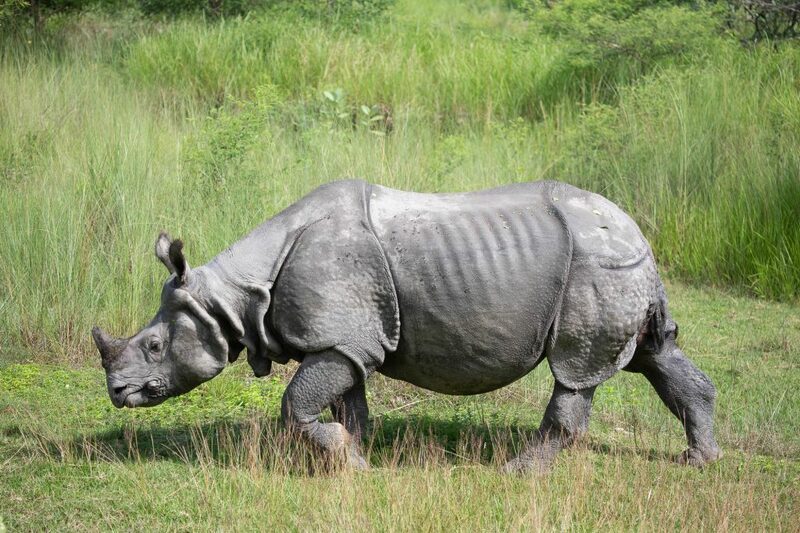 Since 2011, the country has recorded consecutive years without rhino poaching despite its close proximity to the world’s largest rhino-horn markets in China and Vietnam. More than 23% of Nepal is protected as conservation areas including 23 national parks and wildlife tourism has contributed to the country’s overall GDP through sustainable economic opportunities. As a growing business in Nepal, Royal Mountain Travel is focused on supporting initiatives just like this. It is our duty as operators in the travel industry to not only provide the best possible experience for our guests but to also be stewards of sustainability to make our country and the world a better place.